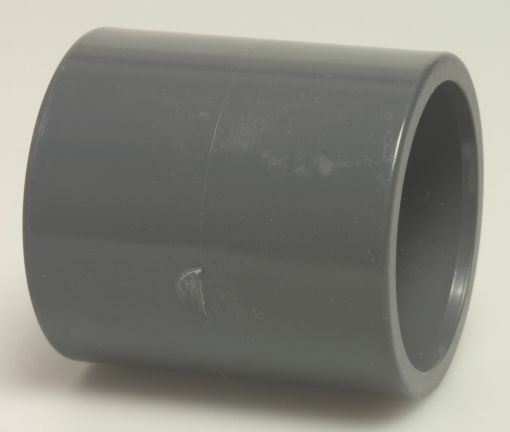 - This product uses the corresponding metric PVC Pipe to fit inside of the Socket Coupler with the corresponding imperial PVC Pipe to fit inside of the other end. - 20mm one end - 1/2" the other end. - 25mm one end - 3/4" the other end. - 32mm one end - 1" the other end. - 40mm one end - 1 1/4" the other end.